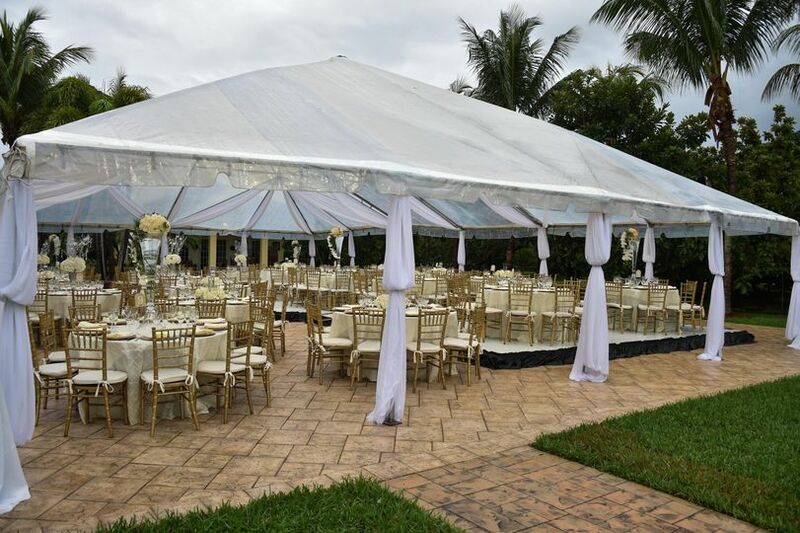 Via Bella Estate is a modern wedding venue in Homestead, Florida. Inspired by the feel of Tuscany, couples can experience a Mediterranean wedding without the distance. 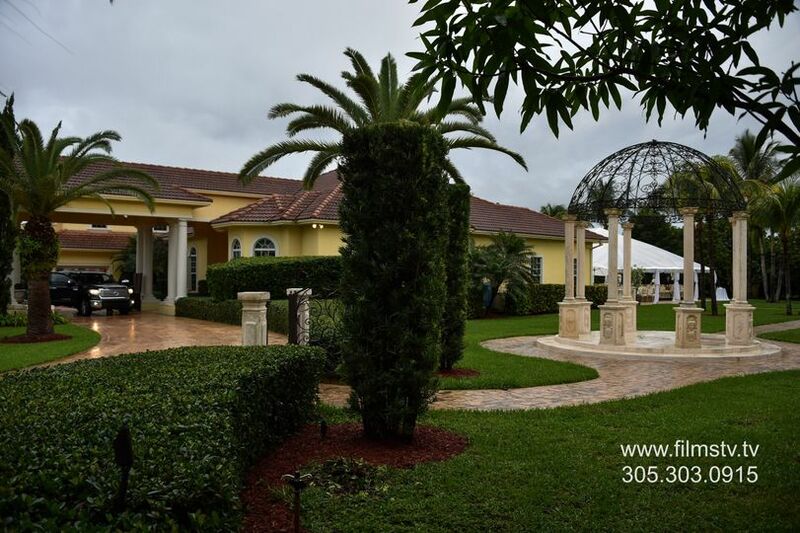 The mansion sits on 10 beautiful acres of land with detailed landscaping and ornate interior and exterior design. Via Bella Estate is the perfect location for couples who are looking for an elegant and sophisticated wedding day. 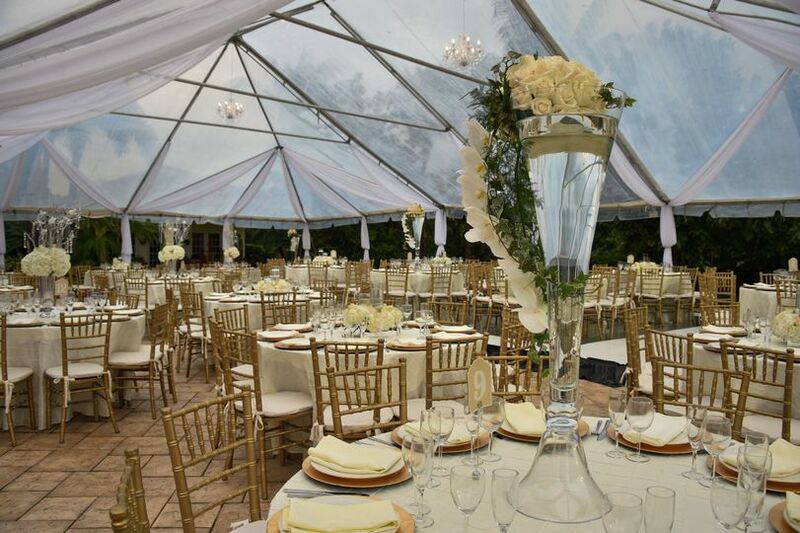 Couples may host up to 175 guests in covered or uncovered outdoor locations, including a marble and wrought iron gazebo. 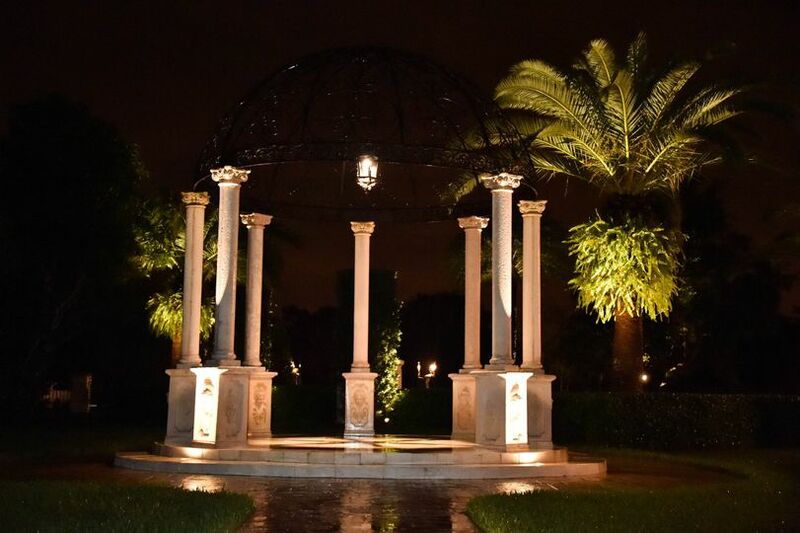 This gazebo has a walkway that makes it perfect for the most graceful procession. 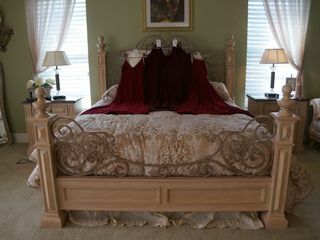 For couples who prefer an intimate wedding at a luxury location, they require a two guest minimum. As a private event location, once couples reserve the venue for their wedding, the entire estate is theirs for the celebration. They have separate spaces for ceremonies and receptions. The Tiki Hut and Bar is available for a cocktail reception, and couples can host their reception by the pool. 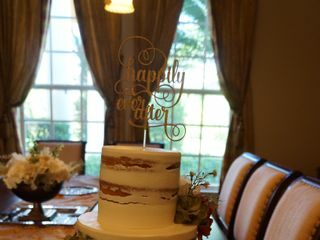 In addition to the ceremony and reception, Via Bella Estate offers to host other wedding-related events for couples. 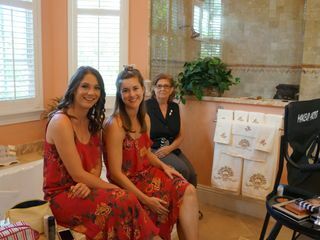 These events include bridal showers and engagement parties. Via Bella is an absolutely beautiful venue. From the moment we saw the pictures we knew it was the venue that we wanted to get married in. Our love for the venue was only confirmed when they offered to give us a full length facetime tour so that we could see the venue even though we are in NYC. During the tour they answered every question that we threw in their direction and walked the entire venue with us there on the phone. They were so personable and excited to potential share our dream day. Unfortunately we decided to move our wedding to another city and could not book with them. However, had we stayed in Miami, they would have been our wedding venue for sure! 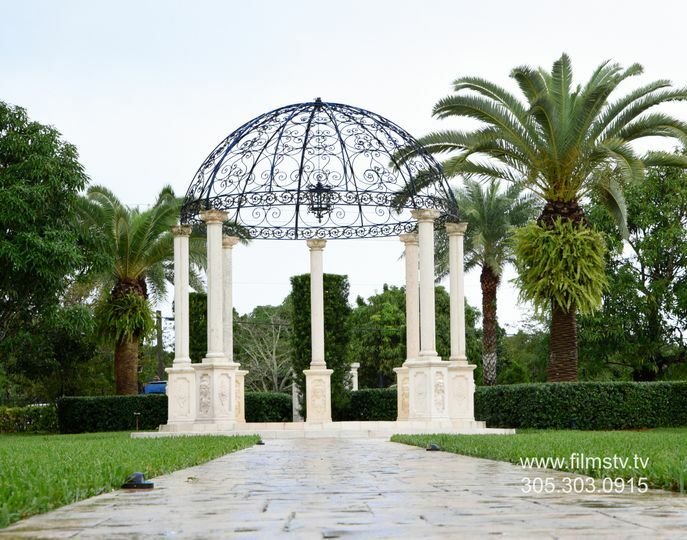 We would highly recommend for anyone looking to get married in the Miami area! This estate truly made my wedding day a dream come true. 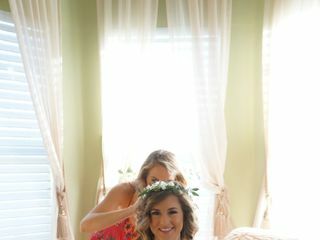 From the owner Marcella to the event coordinator Melanie, everyone was just an ease to work with. If you are looking for an all in one spot this is your place. The bridal suite offers an on-site area for getting ready and also offers a wonderful kitchen to store any lunch or drinks for the day. 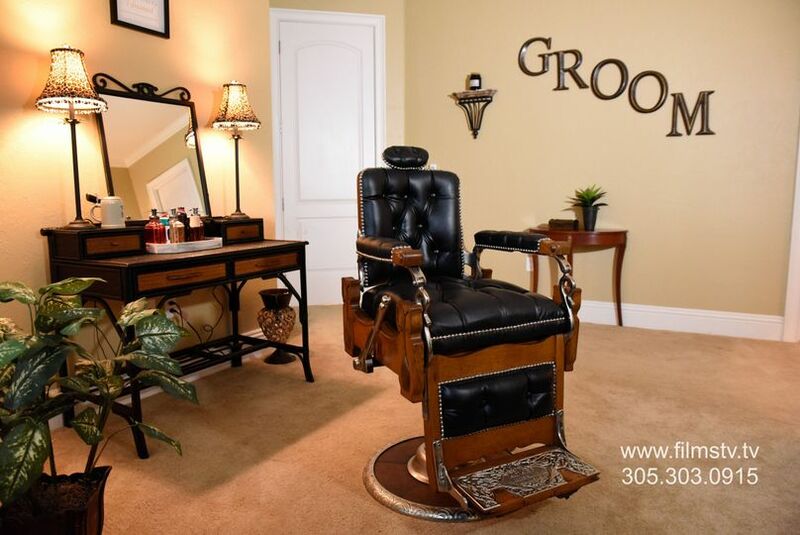 Also included is a grooms room where the guys can come and get ready if they want to. The best part about that room is its on the complete opposite side of the house, making sure no groom or groomsmen run into the bridal party. After getting ready let the beautiful picture taking occur. The house offers so much landscape and beautiful architect to take stunning pictures. There is the Cinderella 2nd floor balcony, the amazing front door, the wishing well, the gazebo, the pool, and all the beautiful greenery the backyard has to offer. 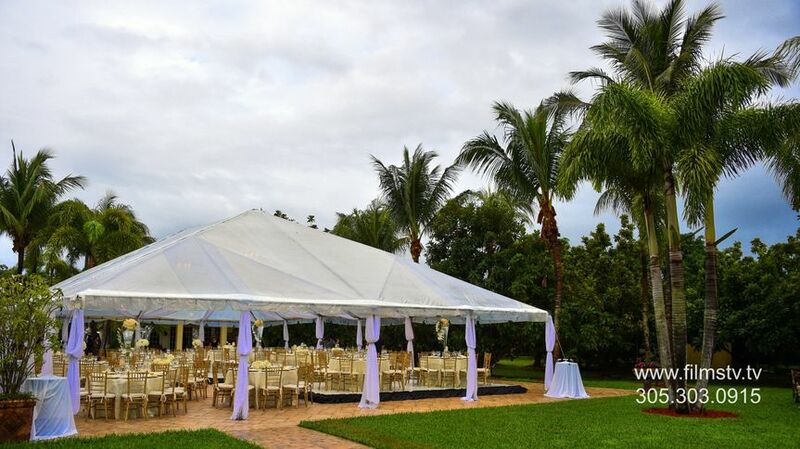 For ceremony the just perfect gazebo makes any brides dreams come true! Then after ceremony the yard has a tiki-hut which serves perfect for cocktail hour. This area comes furnished saving you on having to rent tables and chairs! Then flowing nicely over to the pool deck area for dinner and dancing. I could not have asked for a better place to have our wedding! You can decorate as much or as little as you want because the place alone is just breathtaking! Perfect romantic choice! We could not have chosen a better place for our celebration. 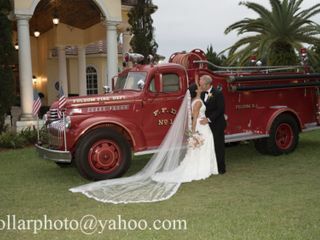 Dear Maria and David, we loved hosting your wonderful wedding. Thank you for letting us be a small part of your love story.